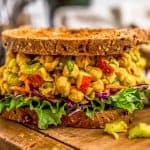 When you’re in hangry mode, but you want a meal that hits all the must haves: delicious, easy, fast, and wholesome, then this sweet and savory Vegan Curried Chickpea Salad is the perfect winner to make your belly happy. 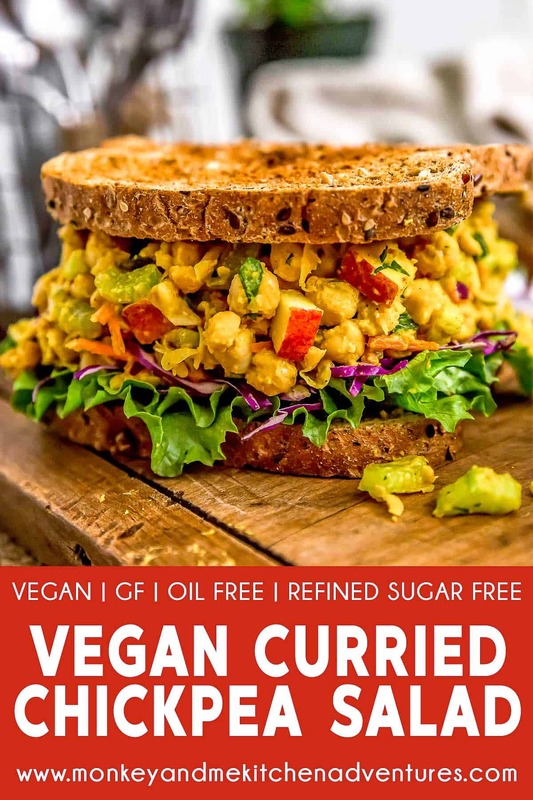 It is a beautiful combination of creamy and crunchy texture with a pow of delicious curry flavors, it makes for a quick and tasty lunch or dinner. 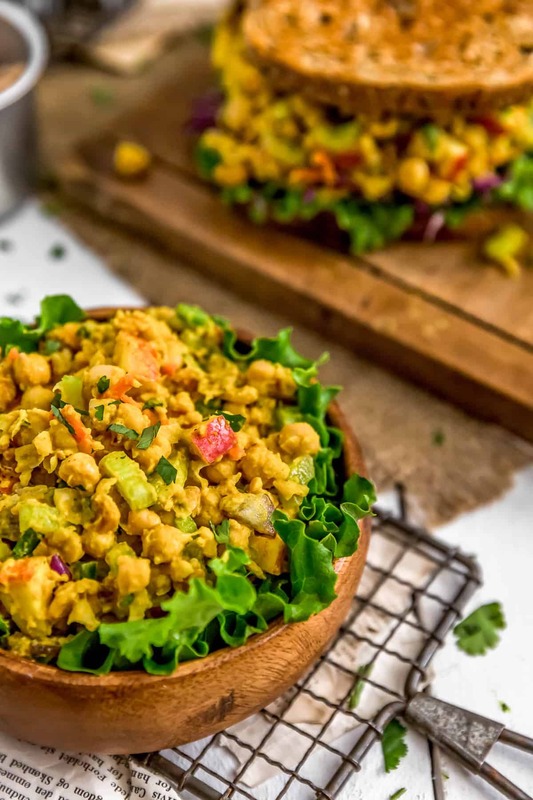 Full of healthy feel good ingredients: chopped apples, chickpeas, carrots, celery, jalapeños, golden raisins, cilantro, peanuts, and red onions, all blanketed in an awesome curry dressing, what’s not to love?! This week’s Whip It Up Wednesday recipe is ideal for work lunchboxes, quick dinners, or just plain fun eats. 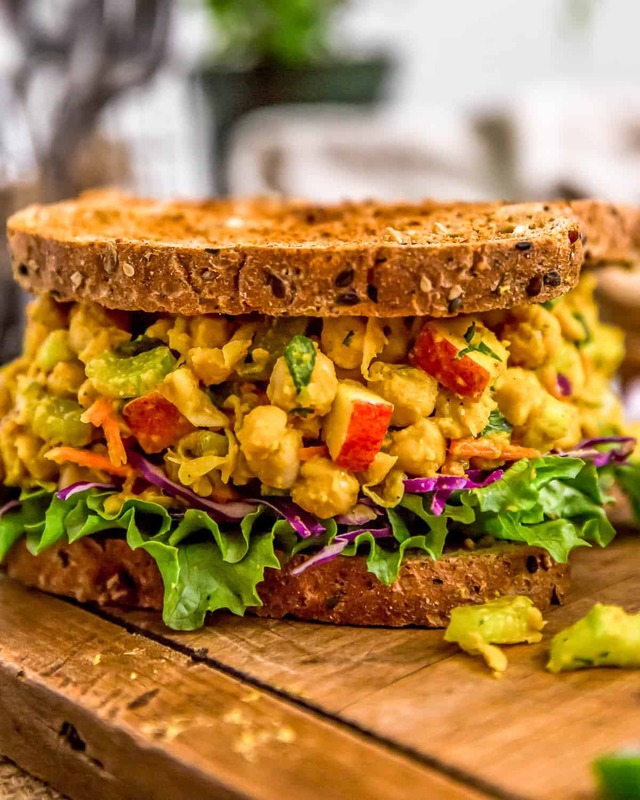 This week’s Whip It Up Wednesday recipe features our tasty Curried Chickpea Salad. Put this deliciousness in a sandwich, wrap, or in a lettuce cup, it is sure to please everyone in the family. It is sweet, savory, fresh, and satisfying. The flavor component and texture is just over the top in YUMMINESS! Mom and I love to make bean salad sandwiches, wraps, and lettuce cups for lunch. Our Tuscan Bean Salad was featured on a number of foodie sites recently. 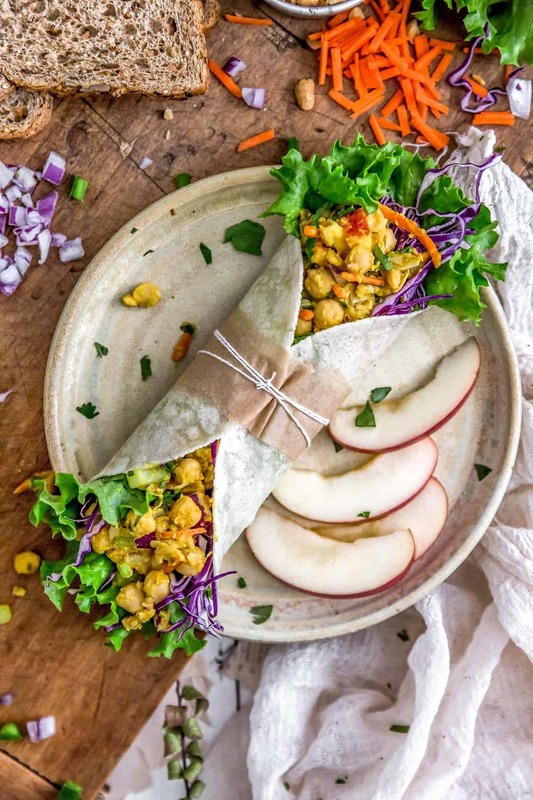 It is super delicious, and our Avocado Chickpea Salad Wrap is loaded with avocado goodness! Oh yeah! 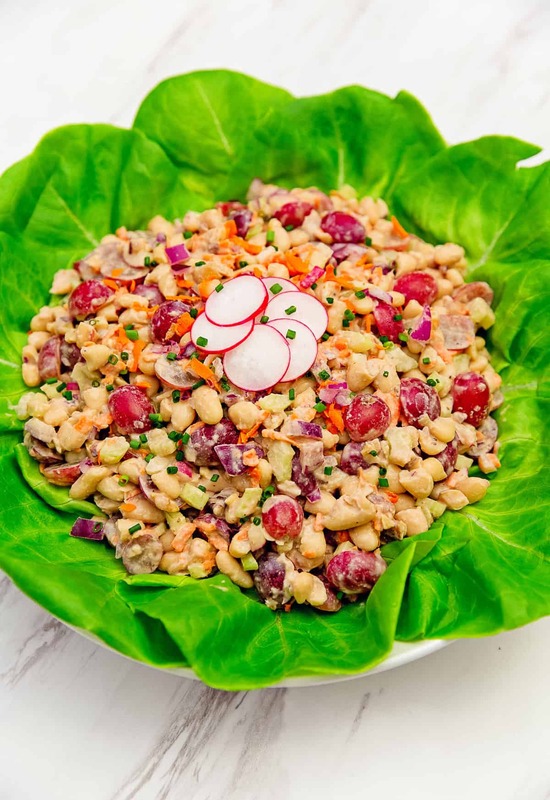 Mom’s nod to a vegan Waldorf Salad is quite popular with our readers too. 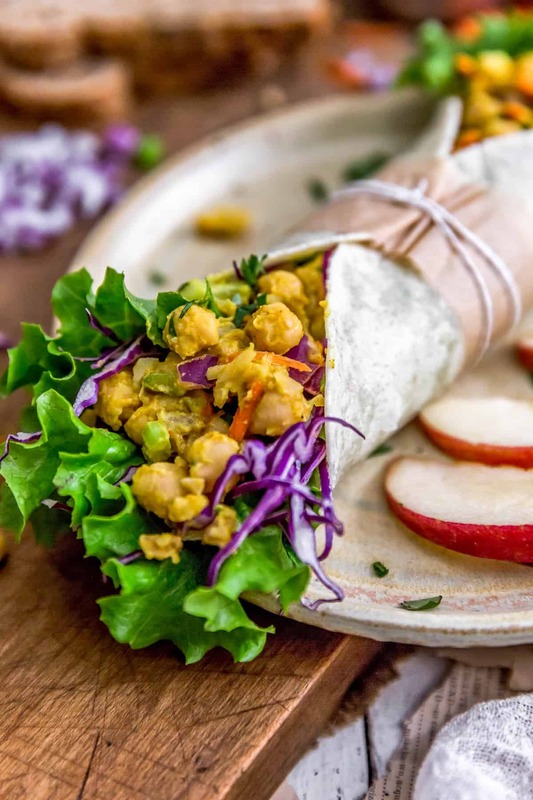 Dad loves our Roasted Red Pepper Hummus Bean Salad, and one of my favorites is our Vegan Buffalo Bean Wrap. 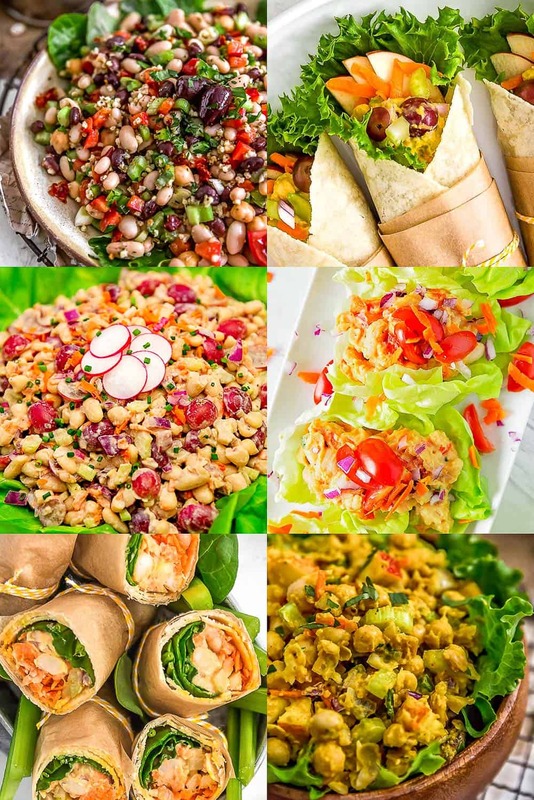 All of our bean salads are super easy to make and real time savers! But lemme just tell you . . . this salad, oOooOooO doggies, is my new bean salad fave! I just adore the curry flavor and don’t even get me started on those fresh, crisp apple bits and chewy bursts of sweet golden raisins, coupled with the zesty red onion and crunchy jalapenos. They just add a whole “nuther” flavor dimension and texture. The chopped roasted peanuts are optional, but oh-so-delicious! My mouth is watering just typing this up. As most of our readers know by now, we simple adore Penzeys spices and herbs. They produce incredibly aromatic and outstanding spices and herbs. You might not think it makes a difference, but once you’ve tried their spices and herbs, you will know what I am talking about. This recipe makes for a perfect wrap, but if you are looking to cut some carbs, then this salad is perfect for serving in a lettuce cup (or even topped on a salad.) Mom and I tried it both in a wrap and then in a lettuce cup, both were super tasty. Dad scarfed down the sandwich(es). Yes, he packed down 3 sandwiches in one of our kitchen tests! I seriously can’t wait for you to try this! We hope you are enjoying our Whip It Up Wednesday quick and easy ideas! 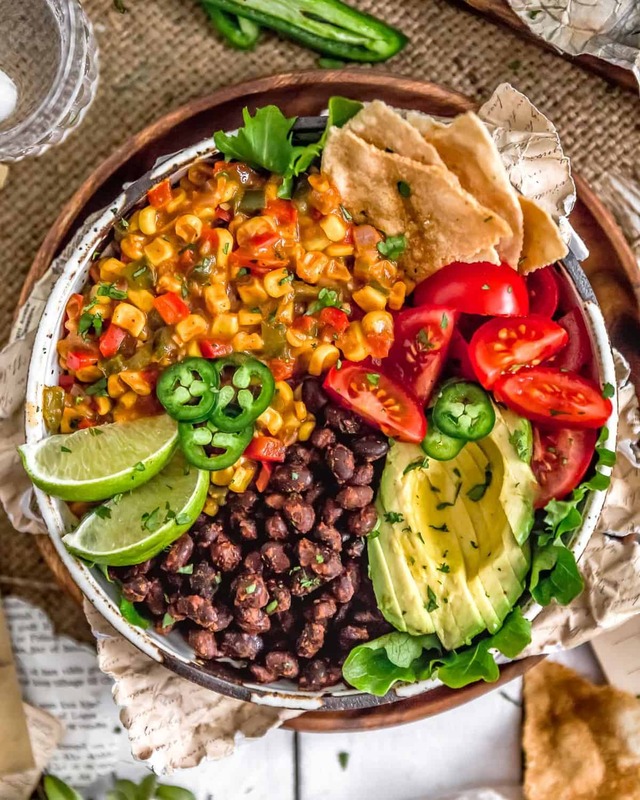 If you try this tasty bean salad, we would love to know if you enjoy it as much as we do! Please leave us a review! Post a picture on Facebook or Instagram and tag us! We would love to hear from you. Place the dressing ingredients into a small bowl, whisk, set aside. Place the drained and rinsed chickpeas into a medium sized bowl and roughly mash them with a potato masher. Do not turn them to mush. Then add all the remaining ingredients and dressing, mix well. Taste test for seasonings. Add additional seasonings to reach the desired flavor. 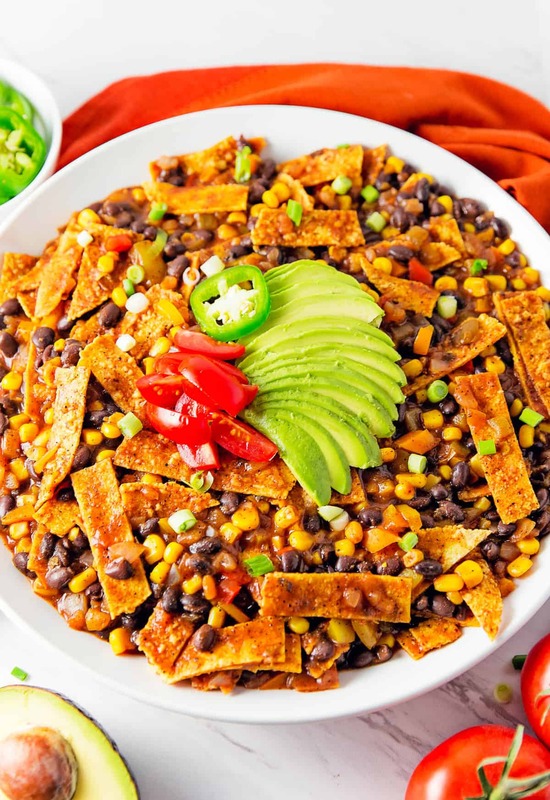 Serve on bread, toast, crackers, tortilla wraps or lettuce wraps. *Sweet Curry Powder: We really enjoy Penzeys Sweet Curry Powder, please feel free to use your favorite curry powder. *Storage: Refrigerate and use within 4 days. *Nutrition Information: Does not include optional add-ins of raisins and peanuts.